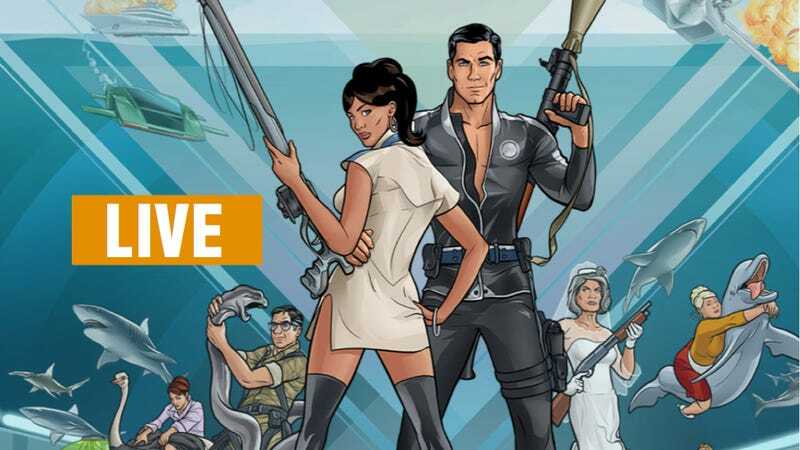 If you're reading this website there's ample demographic data to suggest you also watch Archer on FX and will be tuning your iPad into FX Monday night at 10 PM to watch the premiere of the 5th season. Whet your appetite right now by asking Executive Producer Matt Thompson and Art Director Neal Holman whatever the hell you want. Having read the profile of the show we did last year you'll already be familiar with Matt and Neal. You know why we love the show and how they're digging deep into car culture to animate both drifting JDM oddities and classic American muscle. And airboats. Lots of airboats. There are always airboats when you get close to the zone of Danger. Nevertheless, here's a quick refresher. Matt Thompson, along with co-creator Adam Reed, were grunts at Cartoon Network in the 1990s when they ended up producing a block of cartoons that included two shitfaced puppets. They later went on to create Sealab 2021 and Frisky Dingo before moving to FX for the increasingly brilliant and bizarre Archer. He's also a writer, voice actor, director, and producer. Neal Holman is a proud graduate of the Savannah College of Design University of Georgia and Sealab 2021 and Frisky Dingo. In addition to directing the animation for Archer, he also created the excellent throwback title sequence and frequently voices random characters on the show. Ask them whatever you want as they'll be here until about 3:00 PM and will start answering your questions in a few minutes. Big thanks to Neal and Matt for stopping by and answering our questions. Watch the show this Monday at 10 PM on FX.